The rise and rise of social networks on digital platforms has meant that many people are spending most of their valuable time and resources online. Social sites have become are a common playground where lots of different activities are taking place. As a result, the savvy and initiated salesmen and women have already taken cue, leading to the birth of what is known as social selling. Social selling takes into consideration one-on-one social interaction on social platforms. Through these interactions, salespeople and marketers have the ability to reach and connect with their existing and prospective customers. This approach involves an aspect of nurturing and creating friendships in a gradual way which always pays off in the long term. Besides direct interaction with potential customers, marketers do take it a notch higher by doing personal branding, creating social awearness towards their brand, and doing lots of social listening as well. Social selling is amplified when the seller establishes a wide range of relationships that are enduring. This involves identifying and targeting just the right audience, engaging and winning them. Out of this fostering environment, the seller is also continuously learning and understanding the purchasing needs and habits of his/her customers. A successful social selling venture requires a seller to have a strategy and routine which is strictly adhered to. This helps you to sell as competently and easily as you would want to. The significance of social selling can be grasped in a number of ways. This is a tactic that enables you to create and establish your brand. With online platform already there, you the perfect prowling ground from where find and know your customers. Most people on these platforms find it easier to discuss their interests, dislikes, and likes. You also get to easily learn of their shopping habits. With this kind of information, you are able to build and sustain a brand that solves issues of your buyer personas. Content you create on your chosen platform goes a long way in educating your existing and prospective customers; for instance, if you are using live video, it becomes a medium through which you are giving alternative but relevant information to users. In the same breathe your target audience is most likely to convert. Social selling helps you to consistently build credibility and trust among your clients; the outcome is a sustaining business. The biggest motivation of any salesperson on the social media arena is to attract and retain as many clients as possible. This is reason enough to tread with caution and know what you can and cannot do to achieve your ultimate goals and objectives. Here are some the dos and don’ts when it comes to social selling. Do More of Observing and Listening. Whenever you keep a keen eye on people’s statuses and tweets you can tell what people want, their interests, problems, and aspirations. You also get to learn their expectations when it comes to products and services. By taking time to listen, you are able to make of exactly what people want to solve their problems. Social listening and social awareness take their rightful place in such a scenario. This then helps you to easily create and personalize your brand along those issues. Strive to add value. As a social seller, your biggest motivation should involve adding more value to your target group and eventually make their lives better, than you found them. For instance, create content that is useful and sell to them something that can change their lives in a positive way. Identify who your customers are. At any one time, many people are on a social networking site, but each with different reasons. Based on demographic information that you have, you are able to know the type of customers you are zeroing on to. It could be based on gender, age, education, among many variations. This then is able to give you a clear direction of what product or service you would like to focus on. Engage your audience. Social selling helps you to build relationships that are more defined. With such relationships, you have the capacity to know what the thoughts of your target group are; you can also ask questions and know what their problems and needs are. It helps for you to talk to them as you would your close friends and acquaintances. The outcomes of this type of deliberate actions are instant responses which you use to strengthen your brand. Establish authenticity. As you do your business, be your true establish, and try not to mimic being a different person from you really are. Also avoid a lot officialdom, which often works as a hindrance when dealing with people from diverse backgrounds. Don’t go into business without and a plan and strategy. Working without a target and goal in mind creates room for failure. Always remind yourself of what you are doing, and the ultimate result you would like to get out of the venture. The essence of social selling relies and works better on formation of personal relationships in social sites. These connections gives you an opportunity to approach your prospects as friends and acquaintances; doing so in a crowd loses meaning and can be distracting as well. Don’t be in a hurry to sell. 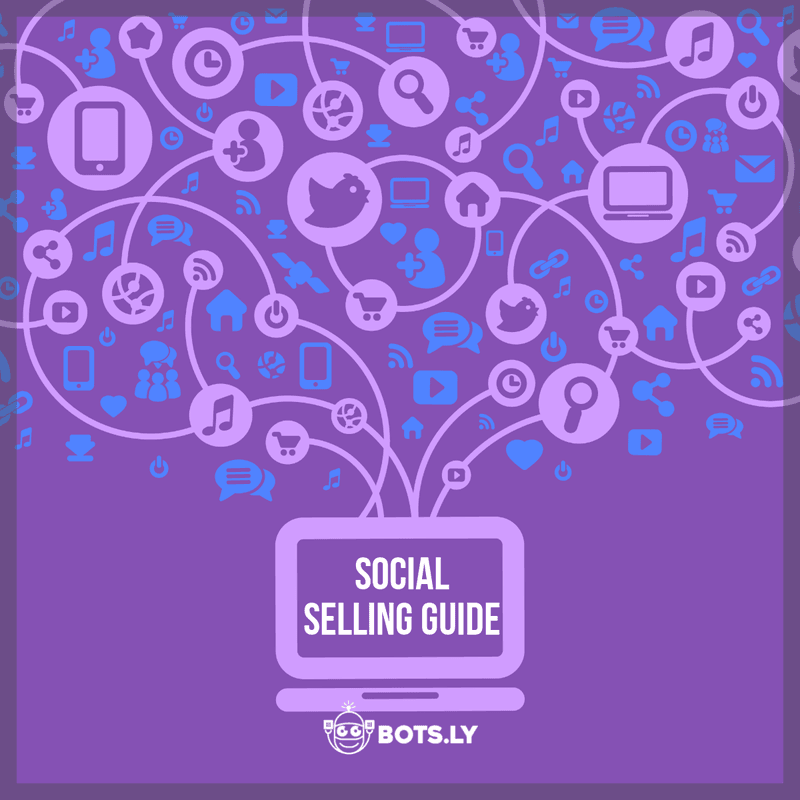 Social selling involves gradual entry as you establish relationships that could convert. It is easy to put people off and lose ground with your quick enthusiasm. To sell on social media and anywhere else online can both be exciting and puzzling at the same time. It is advisable to draw a fine line when it comes to creating friendships which seem to be invasive in people’s lives. Keeping in mind personal etiquette and respect for privacy is something to consider; this is because you are basically interacting and connecting with strangers and random users. It is possible for both sides to feel creeped out. Gradual and slow approach in building buyer personas is recommended. Basically, take your time to study and introduced yourself to users without raising unnecessary fear and suspicion. Here is how you can go about social selling without being weird or creepy. Try to find a common connection between yourself and your prospective client. Doing so helps build authenticity and trust between yourselves without either of you feeling awkward. Be focused solely on the business aspect and avoid topics that might bring distraction and mistrust. From your profile to your status, comments and selfies, show a side of you that is consistent, reliable and trustworthy. Business ought to remain strictly business while leaving out personal stuff. Icebreakers do help, as well as light selling upon entry. Tactics such as liking, retweeting and following serve as perfect icebreakers. As you do so, subtle recognition does take place between you and the other party, which you can aptly utilize to start light and slow. An example of social networking platforms that is versatile and exciting to conduct social selling happens to be Twitter. Apart from being relatively easy to acquire followers, it can also be easy to convert. Considered to be one of the largest social media platform, hundreds of thousands, if not millions, freely and express themselves in diverse ways. A variety topics and trends are a daily scoop of the discussions. On this site, it is good to clearly identify your niche. This helps you narrow down on your target group of customers with specific interests. With a niche safely identified, you begin to subtly create content that is relevant to that niche. For instance, you can format questions, and infographics related to your niche. You can also make posts on your twitter handle that creates awareness of that particular segment. As you introduce these topics, don’t go in full throttle, as doing so could easily scare and keep off your prospective customers. Create a profile that is credible and well-polished; with such a profile you can easily be located on the Web by searchers. Use twitter handle that speaks of professionalism; a username is significant as it can make or break your endeavors. The best strategy is to keep your twitter handle as real as they come, and not complicated. Also, let your profile have a photograph that brings out the best in you, coupled with a good smile; don’t forget to indicate your location. Create a SEO friendly biography through which you can let others know the real you, as well as what you do. Include keywords that relate well with your business and industry as a whole. For your prospective customers, seek to know what their interests, likes, and dislikes are. The best way to go about this is simply by making observations, and doing lots of listening. Follow these users and engage them on a personal, friendly level. Follow people in the industry of your niche too, and seek to know what makes them itch. You are likely to learn from them. Taking opportune moments to engage in relevant discussions is good. Keep an eye on upcoming events, which you can follow remotely or attend in person. Follow the influencers too, and if situations allow, engage them slowly as time goes by. These tactics are just but a few that will help you to break the ground for which you can easily do social selling on Twitter. When it comes to social selling on Facebook, you have the option and advantage of creating a Facebook business page. Doing so helps you to promote a personal brand, but also benefit from a number of business openings like Facebook ads and analytics. Create content that is relevant to your line of business; the profile, timeline cover as well posts should be clear and consistently made to represent your brand. Getting followers and likes go a long way in creating credibility and authenticity for your brand. In addition, reach out by creating a platform of engagement with your potential customers on a regular basis. Before you create any content though, ensure that it speaks to the people you have in mind in terms of relevancy. More importantly, make your observation and listening skills work for you. As you make relationships, be quick to respond and give appropriate feedback. The fans on your Facebook page are also your prospective customers; so learn their needs, interests, likes, and dislikes. Doing so will create a way for you to learn and understand them as well as know what they truly need. LinkedIn is the the top social media site for B2B. Since it’s focused toward professionals and networking, it’s an excellent lead generation tool. That doesn’t mean that you can (or should) just go into it blindly without any strategy or planning. This is a very powerful technique that can result in highly qualified leads. LinkedIn Premium gives businesses the opportunity to find qualified leads based on job role and other criteria, then contact them directly with InMail. What’s so great for B2B companies is that it lets you get past the gate keepers and go directly to the decision makers. Inbound marketing is insanely effective. Running ads and making sales calls can still work, but the numbers show that inbound marketing is where it’s at. LinkedIn doesn’t exactly make this feature very visible on the site, but here’s a quick link to add a new post. LinkedIn acquiring SlideShare is probably one of the best things that could’ve happened for marketers. SlideShare is a content sharing platform focused around slide decks, and they get a lot of traffic. After buying SlideShare, LinkedIn integrated it into the site so your accounts can be connected. Here’s how you can use it to gain leads:Focus on creating slide decks that are highly relevant to your target audience. Make sure that your SlideShare and LinkedIn accounts are connected so that your presentations are visible on your LinkedIn Profile or Company Page. Most importantly, have some sort of call-to-action either inside your presentation or at the end. Instagram isn’t only about pretty pictures and vanity. Getting tons of likes on a photo is cool, but if you’re not keeping up with the comments people are leaving, then you’re missing out. Instagram isn’t exactly known for deep conversations, but taking the time to respond to the people that are engaging with your photos shows that you care, which in turn makes people more likely to buy from you. Designed for Twitter, this tool serves to give your greater insight concerning your twitter analytics; for instance, it leads you into the best time for posting your tweet. The tool also helps you to see which tweets stirs more interest in your audience. It comes in handy by unfollowing individuals that are not following you. More so this tool has the capacity to make comparisons of your account to that of competitors and other users in the industry. Covering more ground than just Twitter, Awario also covers all major social media platforms, reddit and other forums as well as the internet. This tool can be used to maximize social selling and it can be done with any of their plans. We recommend going with the Pro Plan and since they do not offer free trials I have a quick video to show you how to get started social selling with this tool in 3.5 minutes. This is a free plugin especially on Google Chrome that helps you to research and know users social activities on social networking sites. It requires you to do lots of research work on numerous social sites to come up with leading and useful information. Furthermore, you are able to know which sites carry your prospective customers, and you can then join and engage them. As aptly named, this tool is suitable for such site as Linkedin, to help you identify and target your prospects. The tool uses data from the millions of users to give you reliable leads regarding individuals and companies related to your niche. As you carry out your search, the tool automatically picks cue and sends you leading information to support you with identification process and also where to sell. Social selling is a powerful strategy of running a business on the digital arena. It is a necessary skill in this era of active internet social networking. Being equipped with the right skills helps a great deal in establishing an online business that will last in the long term. Subscribe below and for a limited time I’ll send over a 20% discount link.